Visiting the Chanel counter can be a pricey affair none more so when a new collection drops and in the recent months no Chanel offering has been as pretty as Chanel Nuit Infinie de Chanel. Such line up is of course Chanel's Christmas collection and the product that lured me initially was Chanel Illusion D'Ombre Eyeshadow in Initiation, I did pick up two other items but more on them later. 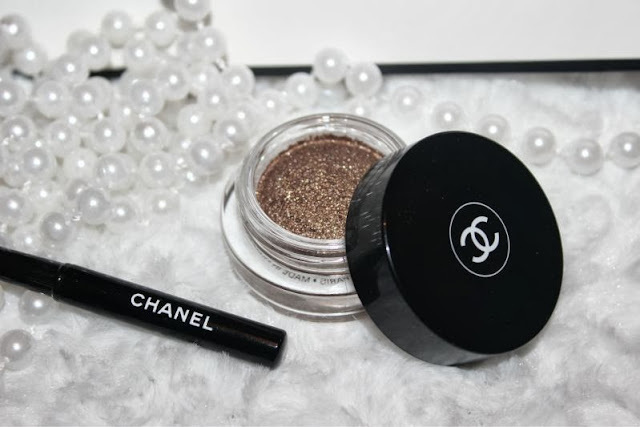 The beautiful Chanel Illusion D'Ombre Eyeshadow in Initiation comes presented within a small glass screw top jar which is of course is engraved with the classic linking "C" logo that we all know to be Coco Chanel. 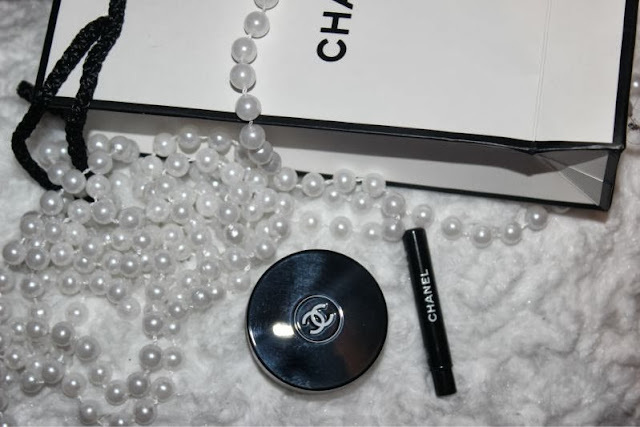 The packaging is as chic as you'd expect from Chanel and despite being glass it doesn't seem to be the type of jar that will shatter should you drop it - I of course could be wrong. Each Chanel Illusion D'Ombre Eyeshadow comes with its own small angled brush which does seem to be of good quality but isn't something I'd personally use with this formula, instead I keep mine for lip products. In its pretty little jar Chanel Illusion D'Ombre Eyeshadow in Initiation appears to be a deep but cool toned cool toned brown that veers slightly purple. 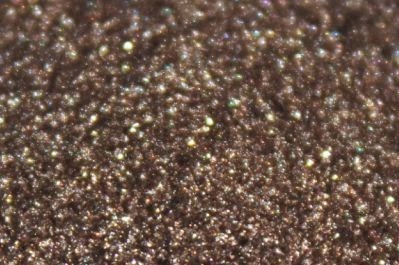 Yet once applied it becomes much more golden in tone and more of a light brown and yet reflects silver, gold, green and purple depending on the source of light. It really is a bizarre golden shade and one I find tricky to describe. 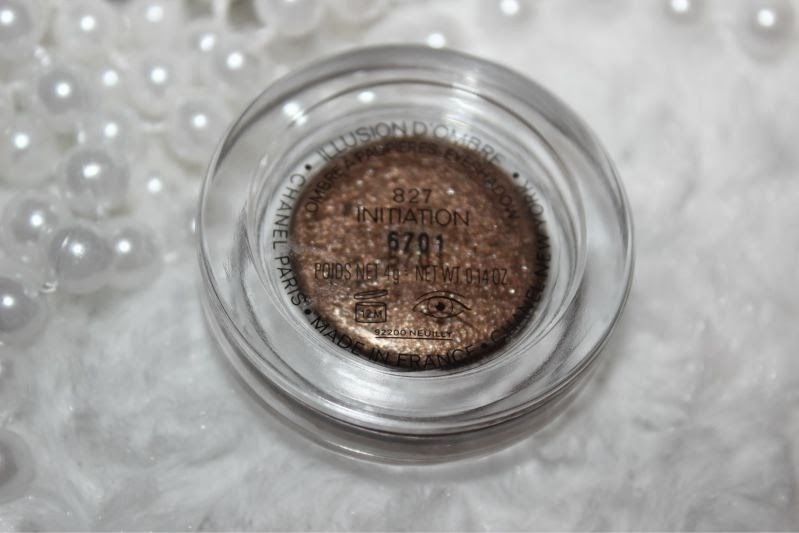 I do like the hue but have to admit that I'm not overly keen on how glittery this offering is, normally Chanel Illusion D'Ombre Eyeshadows are shimmer based but this is full out glitter. Now don't get me wrong it is perfect for the festive season but a little to full on for everyday wear. 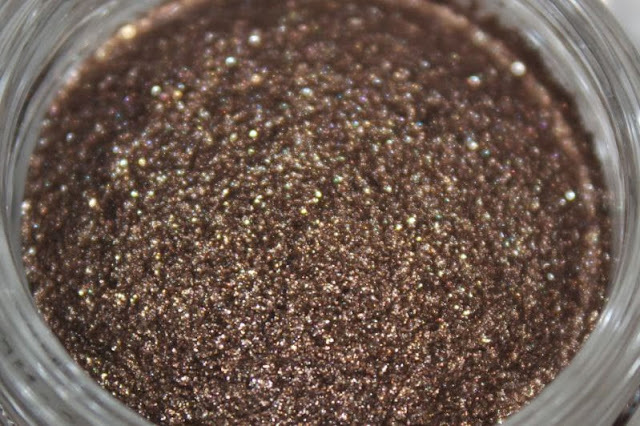 I had plans to wear this as a base cream eyeshadow to combine with my typical everyday Naked palette choices but the glitter element sort of rules that out. Despite it being rather glittery the formula is not at all gritty. Just as the shade is difficult to pin point so is the formula, to the touch they have a certain foam like bounce but on the skin they feel light, cooling and gel like yet thick creamy and almost mousse like too. In all my make-up testing days I have never experienced anything like it and again suggest you try out the product yourself to fully understand what I am harping on about. 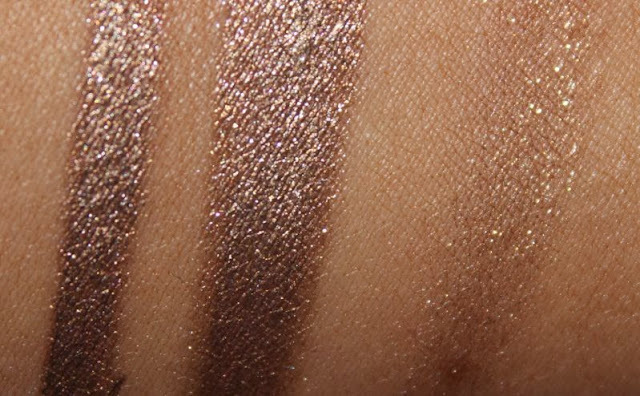 The pigmentation of Chanel Illusion D'Ombre Eyeshadow in Initiation is faultless, one light application provides a beautiful and even wash of colour that quickly settles to a powder like finish. 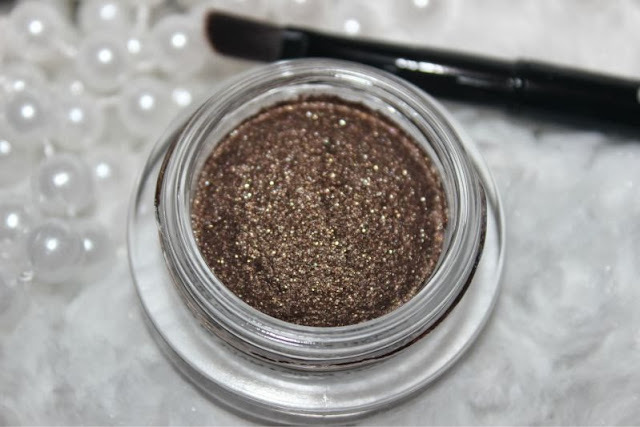 A word of warning is that the Chanel Illusion D'Ombre Eyeshadows do dry fairly quickly so you will have to be speedy should you want to blend out or combine with other eye shades. Other than that they are easy to apply and you can do so with your fingertips should you wish. 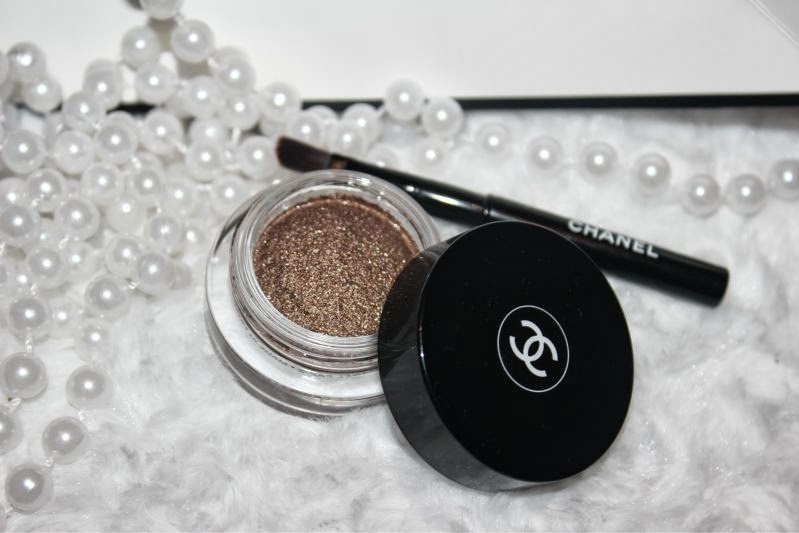 Amazingly once the Chanel Illusion D'Ombre Eyeshadows set they do not budge and that is on oily skin such as myself, they don't crease, flake or buckle under excess sebum but stay in place until you decide to remove the shade. I do use a primer with Initiation and in turn benefit from around 10 hours of wear but it's one of the few formulas i'd imagine you could skip a primer if you felt inclined to do so. 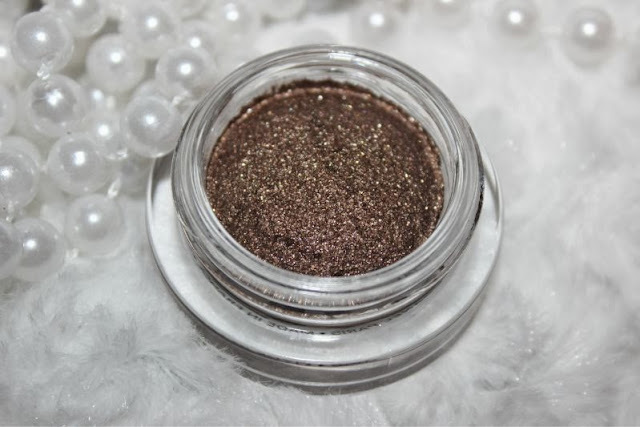 I can not recommend the Chanel Illusion D'Ombre Eyeshadow formula enough and now own four jars in total at £23 each they are not cheap but they are unlike anything else I own. It really is a case of to try the formula is to fall in love with it. 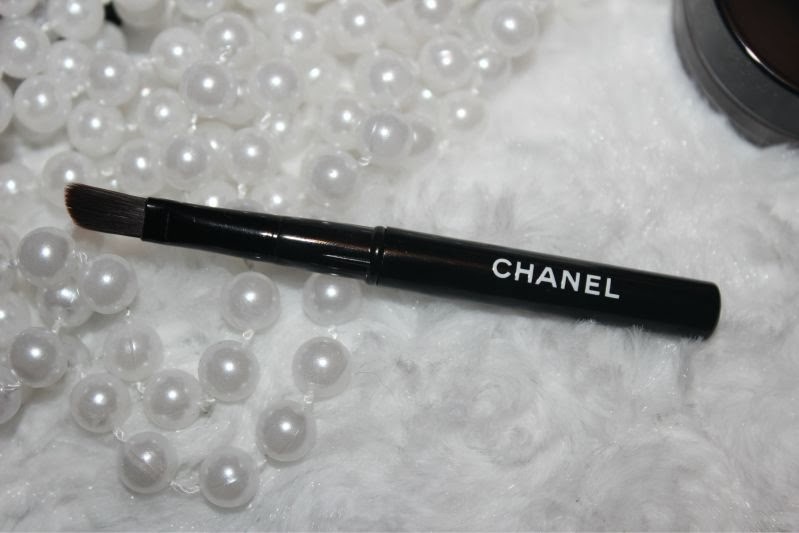 I need Chanel Illusion D'Ombre Eyeshadow! Absolutely loooove this shade! It's so Christmassy!! @Jmsic oops how embarrassing, sorry about that and thank you for pointing it out :) much appreciated! 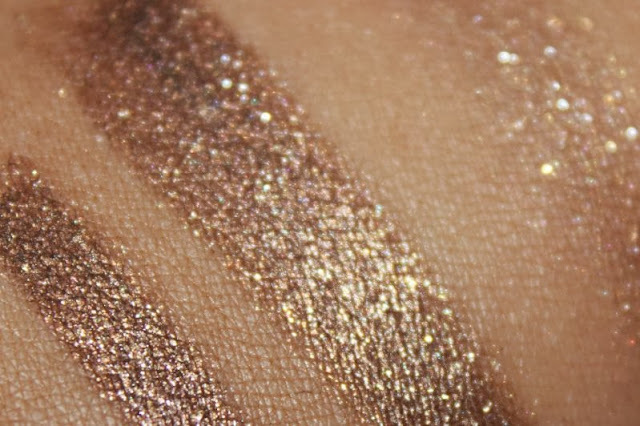 The formula sounds gorgeous, I really like the glitter in it it's so pretty and that shade is very me. http://itschristiefriday.blogspot.co.uk/ Subscribe to win a Lush Christmas gift set. 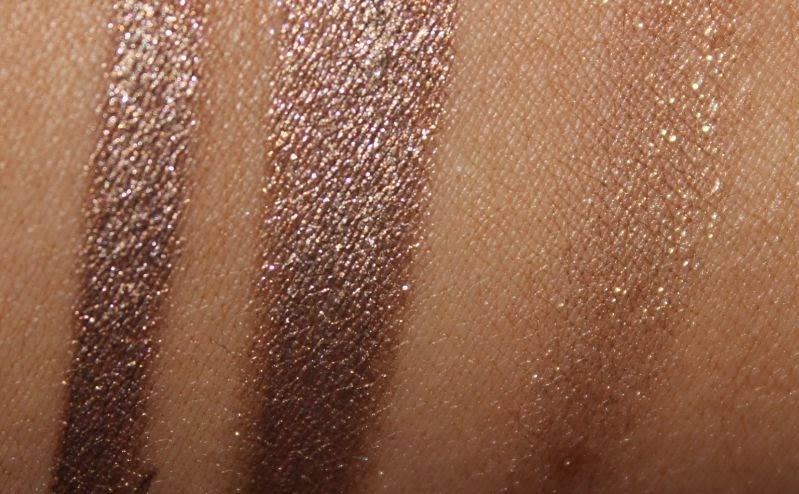 That swatch, that colour... so beautiful! !